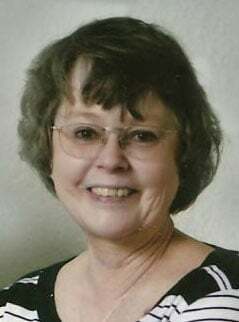 Karla L. Reynolds of Billings passed on to be with our Lord and Savior Thursday evening, June 10, 2010, after struggling with cancer for more than 30 years. Our beloved daughter, wife, mother and friend will be missed very much. Karla spent over 20 of her 33-year career as an RN with St. Vincent Healthcare. She is survived by her mother Eleanor Fitzgibbons of Kalispell, her husband Bob of Billings, her daughter Mrs. Earl (Jennifer) Sagucio and grandchildren Adrianna, Gabriel, and Leila of Oahu, Hawaii, two brothers Dale Fitzgibbons, spouse Judy, and daughter Britta of Iowa and Jerry Fitzgibbons and daughter Sara of Colorado, and also by Tracy Englehardt, her children Jeffrey, Jaydn, and Cierra of Billings who were as dear and near to her heart as though they were mother and daughter and grandchildren. A memorial service will be held at 10:30 a.m. on Saturday, June 19, at Faith Chapel. Relay for Life was a passion of Karla’s so, in lieu of flowers, all donations should be directed to the American Cancer Society. Karla, we will always love you and have you in our hearts.